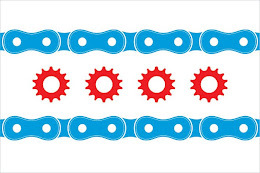 Chicago Bicycle Accident Lawyer | Illinois Bicycle Lawyers at Keating Law Offices: Is it a coincidence that NYC and Chicago's Transportation Czars Support Biking? Is it a coincidence that NYC and Chicago's Transportation Czars Support Biking? New York’s Transportation Comissisioner, Janet Sadik-Khan was recently profiled on NBC’s news magazine program, Rock Center with Brian Williams. Sadik-Khan is leading a transformation of the way New York deals with traffic and safety in their streets. One of Sadik-Khan’s first initiatives was closing a full lane of traffic in Times Square to make it safer for the thousands of pedestrians that traverse it each day. However, she is making her biggest headlines for her plans to get more New Yorkers to ride bicycles. In four short years as Transportation Comissioner, Sadik-Khan has overseen the implementation of over 260 miles of bike lanes throughout New York. While some New Yorkers detest the bike lanes, Sadik-Khan has the full support of Mayor Michael Bloomberg. Bloomberg and Sadik-Khan have helped double the amount of people using bicycles in Manhattan in the last few years. While that number has doubled, Sadik-Khan still hopes more will make the change, as only 0.6% of New Yorkers choose to bike in Manhattan. In anticipation of increased biking, Sadik-Khan has installed over 12,000 bicycle racks in New York City. It is no coincidence that the transportation commissioners of two of the biggest cities in the United States have dedicated their agendas to bicycle proliferation. With more cities likely to follow suit, Sadik-Khan and Klein are two visionaries that can help provide a bright future for cyclists.